Everyone loves a well-behaved dog. But it’s a rare puppy that comes that way. You can give your dog lots of loving, runs on the beach and a happy home. But that won’t guarantee a perfect pet. Only training can do that. 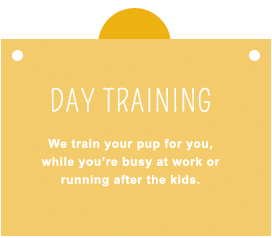 If you don’t have the time or know-how to train your new puppy or dog and can’t continue to ignore the jumping, barking, chewing or unruly leash pulling, we can help! We train our 2-legged clients as well as our 4-legged ones. Training based on how dogs learn. Over 13 years experience training pet, guide and shelter dogs. Trained by Guide Dogs for the Blind. We make dog training fun! 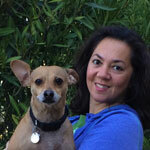 Head on over to our Meet Gina page to learn more about why your dog will be in good hands! Copyright © 2019 Gina Chang, all rights reserved.